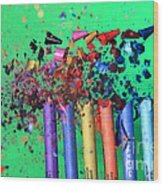 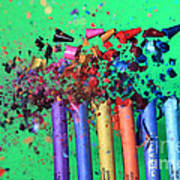 There are no comments for Bullet Hitting Crayons. Click here to post the first comment. A .22 caliber bullet hitting crayons. The bullet is travelling at 660 feet per second (201 meters per second). 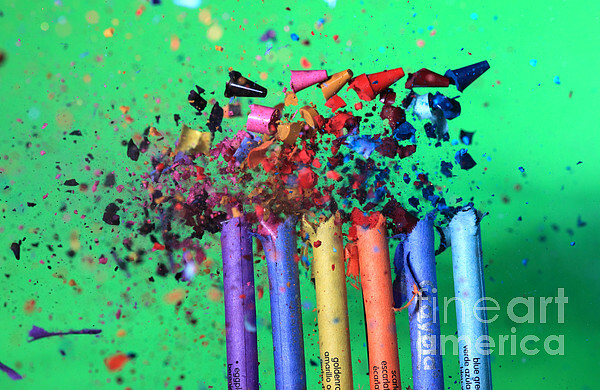 This image shows the collision of the bullet and crayons photographed at at 1/1,000,000th of a second flash/strobe speed.